Jake is a reporter with Side Effects and WFYI in Indianapolis. He decided to pursue radio journalism while volunteering at a community station in Madison, WI, and soon after began an internship with NPR's State of the Re:Union. Jake has received a first place award from the Milwaukee Press Club and he was a finalist in KCRW's 24-Hour Radio Race. In his spare time, he runs and tries to perfect his pizza crust recipe. 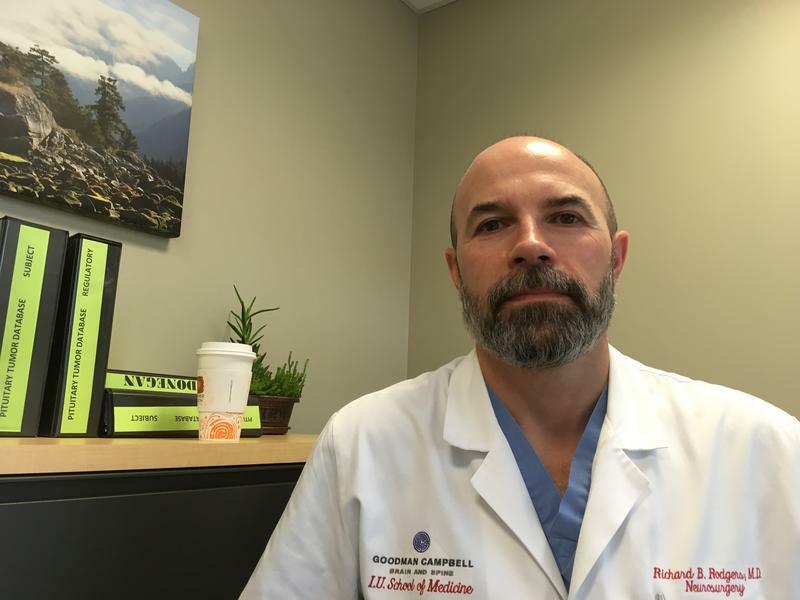 Physicians across the country have a message for the National Rifle Association: Gun violence is our concern. It's part of a battle being fought vigorously on Twitter in recent weeks. 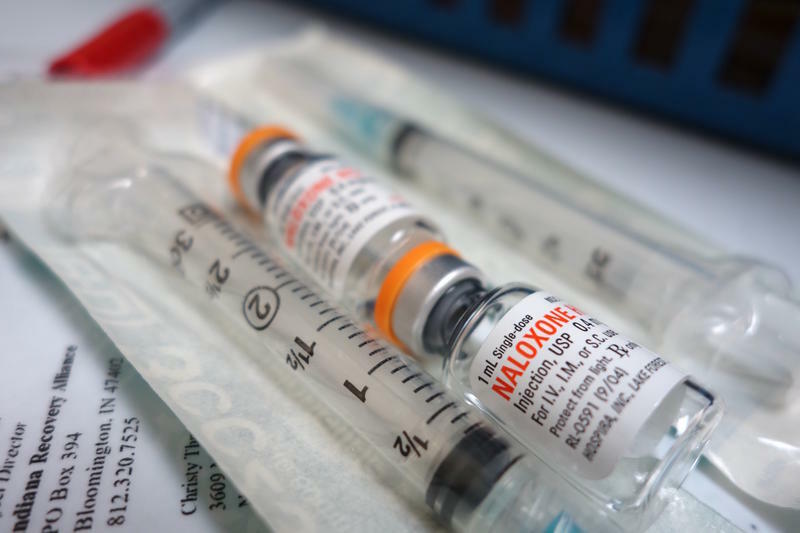 There's An Illegal Market For An Opioid Addiction Medication. Is That Such A Bad Thing? Months in prison didn’t rid Daryl of his addiction to opioids. “Before I left the parking lot of the prison, I was shooting up getting high,” he says. In a sunny patch of grass in the middle of Indianapolis' Crown Hill Cemetery, 45 people recently gathered around a large blackboard. 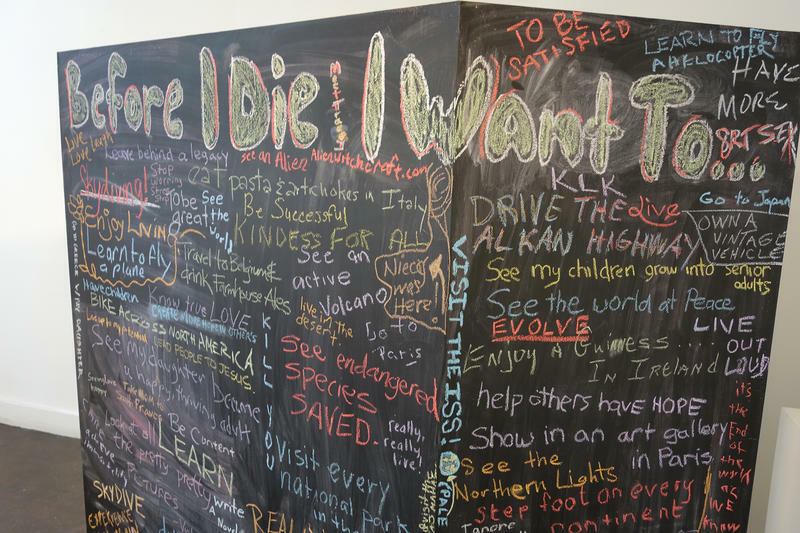 The words "Before I Die, I Want To ..." were stenciled on the board in bold white letters. Sixty-two-year-old Tom Davis led us through the thousands of gravestones scattered across the cemetery. He'd been thinking about his life and death a lot in the previous few weeks, he told us. On March 22, he'd had a heart attack. 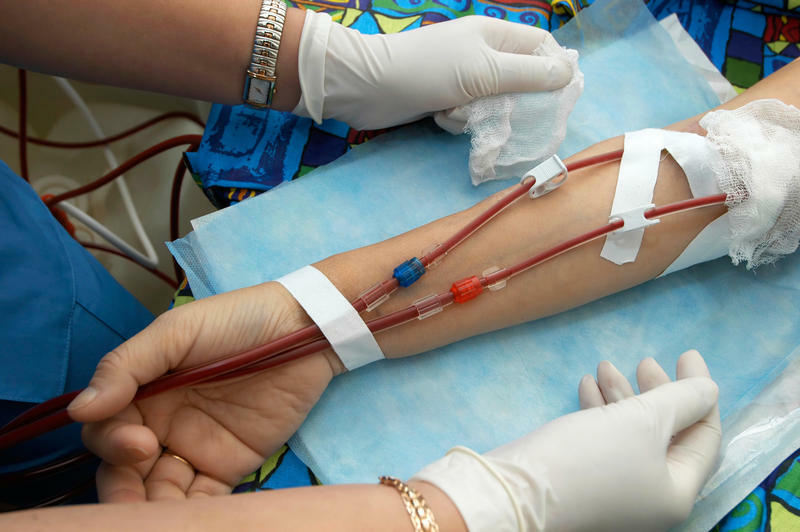 Carla used to get dialysis a couple of times a week at the public hospital in Indianapolis, Eskenazi Hospital. She would sit in a chair for hours as a machine took blood out of her arm, cleaned it and pumped it back into her body. Then one day in 2014, she was turned away. Even though her lungs were full of fluid, the doctors said her condition wasn't urgent enough to treat that day, she says. "I explained to the doctors that I couldn't breathe," she recalls, "and they told me it wasn't true, that I had to wait three more days." Last year, Erin and Isaac Hougland of Indianapolis got certified to become foster parents, with the hope of adopting a baby. Just a few weeks later, they got a call. An 8-week-old baby needed a home. 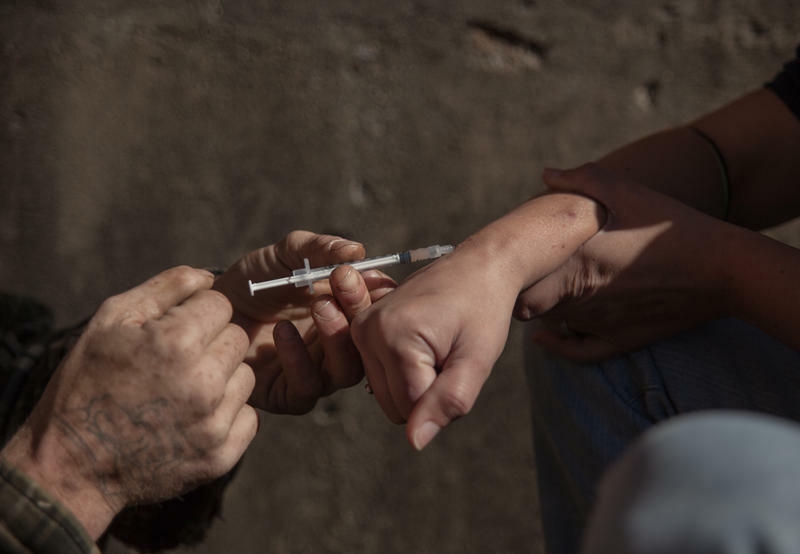 All they knew was that the boy's mother was a heroin addict and had left him at the hospital. They were told that because of the drugs, the baby might require some special care. But mostly, he just needed a place to go. "Both of us were just like, 'Let's do it,' " says Isaac Hougland. "We wrapped up what we were doing at work and went to the hospital."